E-Med can provide solutions to many of the issues facing today's industrial work sites. Challenges with OSHA regulations and compliance with NFPA standards can be daunting. We can provide technical guidance for written rescue plans, or offer a fully equipped contractor stand-by rescue team. Whether you need training, compliance assistance, written rescue plan development, rescue equipment training, or stand-by contractor services, E-Med is your once stop solution. For more information about our customized technical rescue stand-by options, written rescue plan guidance or our compliance assistance programs for your organization, please contact E-Med Training Services, LLC at info@emedtraining.com or (866) 363-3001. If your facility has a fire brigade, confined space rescue team, hazmat response team, rope rescue team or medical responders, there are specific regulations listed in OSHA and guidance provided in various NFPA standards. We can automate your compliance records with our Intelligent Compliance Software, BrigadeIQ. E-Med offers a variety of consulting services to assist our clients with identifying emergency response gaps, conducting equipment assessments, and completing technical rescue written plans. We can even design large scale, multi-agency drills for your facility to truly test emergency action plans and employee response readiness. E-Med has highly-qualified contractors to assist facilities in need of specialized assistance with technical expertise and can offer extensive industrial rescue standby services to provide the industrial sector with technical rescue guidance and contract Emergency Rescue Services as defined in OSHA 1910.146 and OSHA 1926.1211. 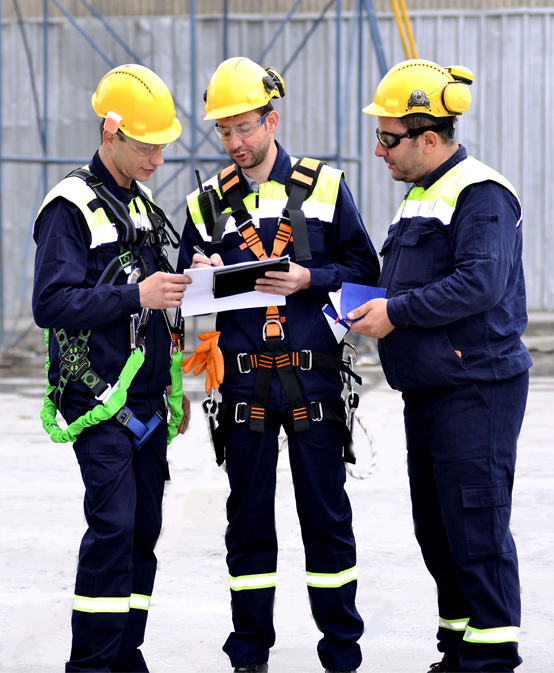 We can even assist you with developing your own OSHA required rescue plans and train your existing team on the implementation of your developed rescue plans. If your facility owns a defibrillator, did you know most states require a written plan for owners of automated external defibrillators to include schools, churches, industry and public safety organizations. Documentation, deployment strategies and maintenance record keeping of unit expiration dates are integral parts of these requirements. Why Us? Our experienced team can help you select the best program plan for your organization. Our AED Management Program services are available standalone or as part of our complete AED Program Management Package. Click Here to Complete your monthly AED Check.